Would you like to know what is in your drinking water? ​Each year we partner with the Miami Conservancy District, Montgomery County, and Carlisle Local Schools to provide free drinking water testing services to our residents. ​Make sure to RSVP to reserve your spot! The first 40 RSVP’s are guaranteed a FREE lead, copper, and arsenic test from an Ohio EPA Certified laboratory! All will receive a free confidential nitrate, nitrite and iron screening. 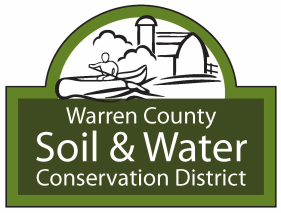 On May 14th bring in a water sample by filling a clean bottle or container, that holds at least 16.9 oz, with the first draw of water in the morning (or after 6 hours of non-use). The first 40 RSVP’s are guaranteed a FREE lead, copper and arsenic test from an Ohio EPA Certified laboratory! Free confidential nitrate, nitrite and iron screening for everyone. Purchase a bacteria test kit at a reduced cost ($20) or other water tests at the event. Click here for fact sheets and laboratory info.